Virtual Private Networks are trending up when it comes to popularity, as privacy-conscious Internet users are hiring these services for encryption and anonymity in their online ventures. VPN technology protects people against hackers and cybercriminals with the added bonus of unblocking international content. 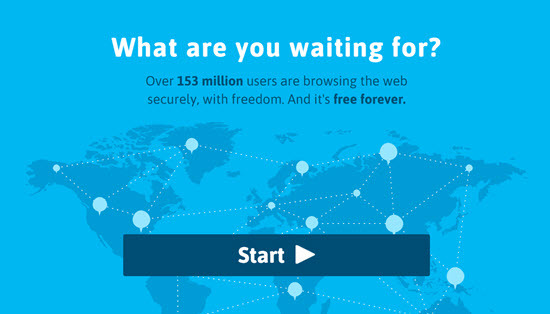 Hola VPN is a “freemium” service, which means that it has both a no-cost version and a premium, paid feature. The former, which is the object of the present review, is an excellent tool for unblocking online content from anywhere, but it comes with several red flags that users need to understand before acquiring it. The company claims to have almost 40 million users all over the globe, so they must be doing something right. Overall, you could unblock sites with Hola, but streaming and browsing with it comes with threats to your online security. As we have already explained, Hola has a free version and a premium service. 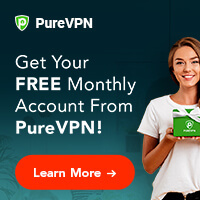 The former offers users most of the things that a regular, paid VPN company would, with the notable exception that it can't be used on multiple browsers and your IP number is shared by other people. Of course, you have the option of not sharing your IP address, but you would need to use the premium features. 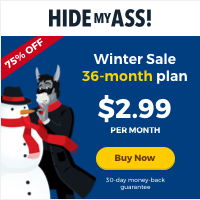 It requires you to pay $5 per month ($3.75 if you choose the annual plan,) and it offers robust SSL encryption. The free trial, in this case, would be using the no-cost Hola VPN service before deciding on acquiring the premium service. In fact, numerous VPN brands offer that payment mode to its customers. However, you could choose to use Hola VPN for free for the amount of time you desire. Just be prepared: they can offer you to buy a Luminati subscription, but since there are so many privacy and security hazards, we are not sure that would be the best for you. Navigability is a strong suit of Hola: the website is very straightforward and easy to browse. The design is simple, yet efficient, and the page provides little more than the necessary information. You can follow links with simplicity. The client and software are very straightforward to install, and it is highly compatible: it works on every device including Mac OSX, iOS, Android, and Windows. The website also provides users with installation guides. Registering for the Hola VPN service is also quite easy. Users just need to enter their email address and they will be able to download the client or extension associated with their specific operating system. The Windows client is a modified version of Google Chrome, with a trio of plugins. 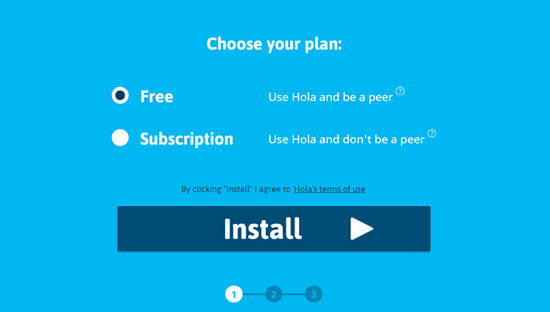 Hola offers several features in its free service. The most notable one is the ability to access any website from any country, as well as the presence of 300 server locations worldwide to unblock all kinds of content. One drawback of Hola is that it doesn't work with Netflix, the world's most famous online multimedia library. It did back in the day, but ever since the platform started hunting VPN services and blocking them, Hola was one of the victims. 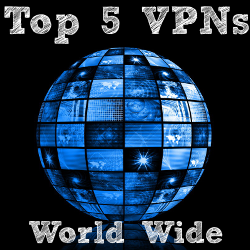 When people are looking for a reliable VPN service provider, one of the first things they look at is the number of servers available for connection and the cities and countries in which users can unblock content and pages. Hola VPN has 300 server locations available for connection, which will not be mistaken with one of the top options in the industry but can be enough for a free VPN service. One of the aspects for which Hola VPN has received numerous critics over the years is the speed and performance of the service. Overall, they are not what you want in a Virtual Private Network, and streaming is incredibly frustrating. However, you can find some server locations with acceptable rates. Generally speaking, those located in the United States of America, the United Kingdom, and Canada are the fastest that Hola can offer. The Hola free version is slower than the premium because it involves connection through P2P nodes. For streaming, the bandwidth is insufficient and the buffering is too frequent to endure. Hola is a dangerous proposition for privacy-conscious Internet users because of its privacy issues. The VPN provider has been caught using its Luminati offering for enterprises as a mean to sell botnet services built with users' information. Since Hola users are “exit nodes” in a P2P exchange system, their online safety is compromised. There are also allegations that Hola VPN keeps personal information about their users in a database. Can you really trust that they won't pass it along to agencies such as the NSA, for example? As for encryption, the website does not specify the method, but IP leaks are a common occurrence, so you just can't trust Hola VPN. Another drawback of the Hola VPN service is their customer support or lack thereof. The primary issue is the notorious unresponsiveness, as you can send numerous emails and find no answer for days. There is no live chat feature or ticket system to help users with their specific issues. Your best shot at getting your issues solves is finding an answer for it in the Frequently Asked Questions section.